When traveling to Kenya you will want to know as much as possible about the county. This website gives you all the information you require. Everything from cheap flights to the country, safari tours, beaches, car hire, the best place to stay when on your holiday, and some background information like the people, food, climate, history, music etc. Kenya is renowned as the heart of the African safari. This is entirely true and when on your visit to the country you will find yourself enchanted by its scenic beauty and vast wildlife e.g., lions, elephants, rhinos, buffaloes, wildebeests, zebras, elands, hyenas, baboons, gazelles, giraffes, leopards, cheetahs, hippos, crocodiles and over 1,100 species of birds. If you are a beach lover you will be able to enjoy pristine white-sandy beaches at the coast. The beaches stretch 700 kilometres and they are lined with whistling palm trees. The year-round sunshine and the cooling breeze from the Indian Ocean make them an ideal place to sunbathe, swim, windsurf, sail and snorkel. Mombasa, the second largest city after Nairobi (the capital city), has a rich cultural heritage to explore. Swim with dolphins in Malindi and slow down the pace in Lamu, a tropical island where life is lived at its own relaxed rhythm. When you mention Kenya you can’t fail to mention the great wildebeest migration, which is the seventh natural wonder of the world. The spectacle takes place every year between July and October as hundreds of thousands of wildebeests, zebras and gazelles trek from the Serengeti plains through the Masai Mara National Reserve and back again. Lions, hyenas and vultures closely follow the trek. The national parks and reserves are unrivaled and this is where the safaris take place. You can take a wildlife drive, a balloon safari, or a camping safari for the real bush experience. The county’s tourism industry is well established and you get the best accommodation and vacation packages to suit your particulars needs. Tour packages range from budget to luxury with the convenience of being able to customize your safari. You not only get information about Kenya, but also other African safaris destinations. The main safari regions in the vast continent of Africa are East Africa and Southern Africa. Together with Kenya in East Africa you have Tanzania, another major African safari holidays destination. 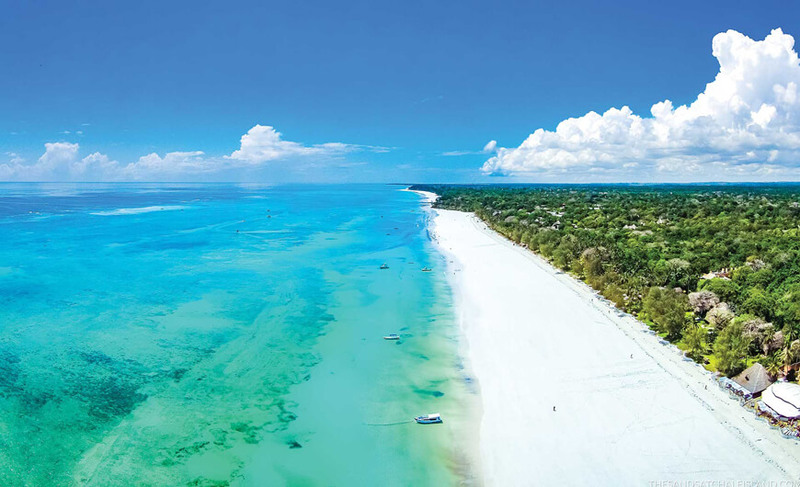 Also home to the continents highest peak Mount Kilimanjaro and the island of Zanzibar perfect for an African beach holiday on white sandy beaches. Uganda is popular with savannah safaris and gorilla trekking. Countries that are popular with African safari holidays in Southern Africa are Botswana, home to Chobe National Park and the evergreen Okavango Delta, South Africa with its flagship park the Kruger National Park, Namibia and Zambia, which shares with neighbouring Zimbabwe Victoria Falls – the world’s largest uninterrupted sheet of falling water. You can easily book All-inclusive african safari tours to these destinations and also submit an inquiry for a customised itinerary. Popular African beach holidays destinations include Seychelles, Mauritius, Mozambique and Egypt. To get the most out of this website, use the navigation bar at the top or the search function to easily find what you are looking for. Connect with us on social media on Facebook, Twitter, Instagram, Google+, Pinterest and Youtube. Subscribe to our e-zine for discounts and travel tips. You can subscribe here or using the form on the column on the right (or below if you are on mobile).